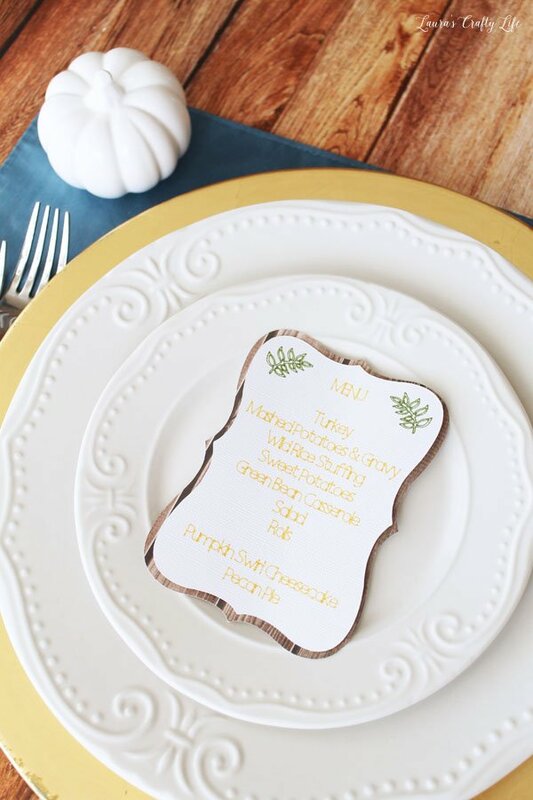 I am so excited to share this post with you today! 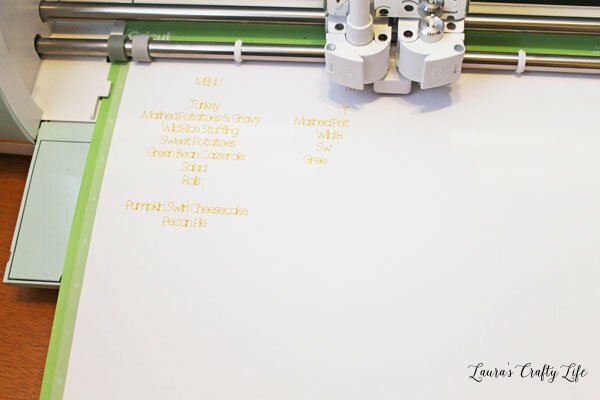 Did you know that Cricut has a new Explore machine? 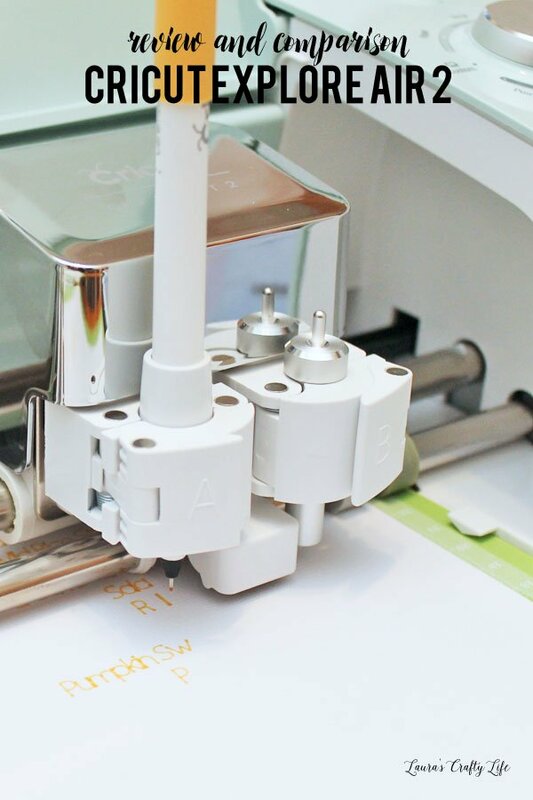 It is called the Cricut Explore Air 2 and it cuts up to 2X faster. 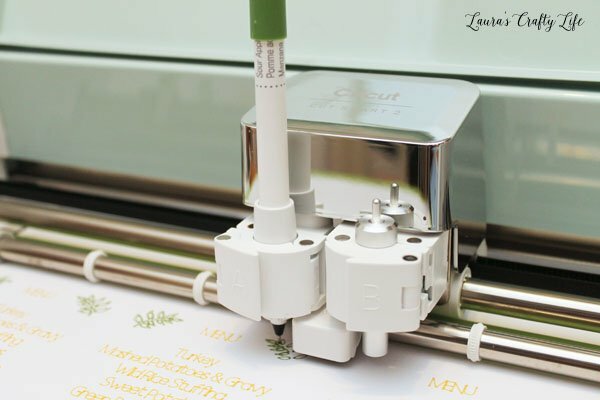 Thank you to Cricut for supplying me with a Cricut Explore Air 2 and supplies for review. All opinions are my own. This post contains affiliate link and I will be compensated if you make a purchase after clicking on my links. Please read my full disclosure policy here. Thanksgiving is coming up right around the corner. Every year I host dinner at our house with family and sometimes close friends. I always say, the more the merrier! My husband barbecues the turkey, leaving me the oven to cook everything else. We have delicious food and wonderful company. 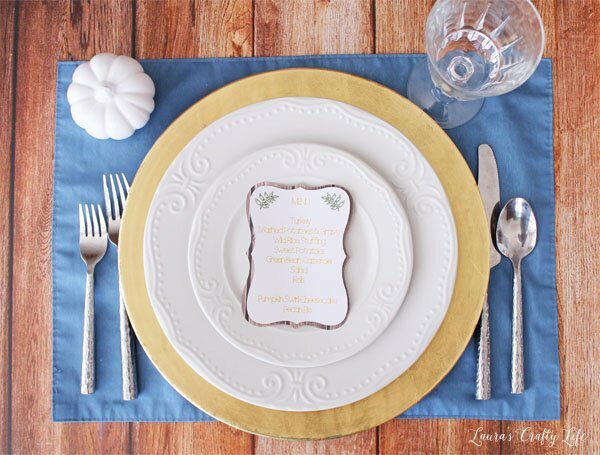 This year, I thought it would be fun to create some Thanksgiving menu cards to put at each place setting. 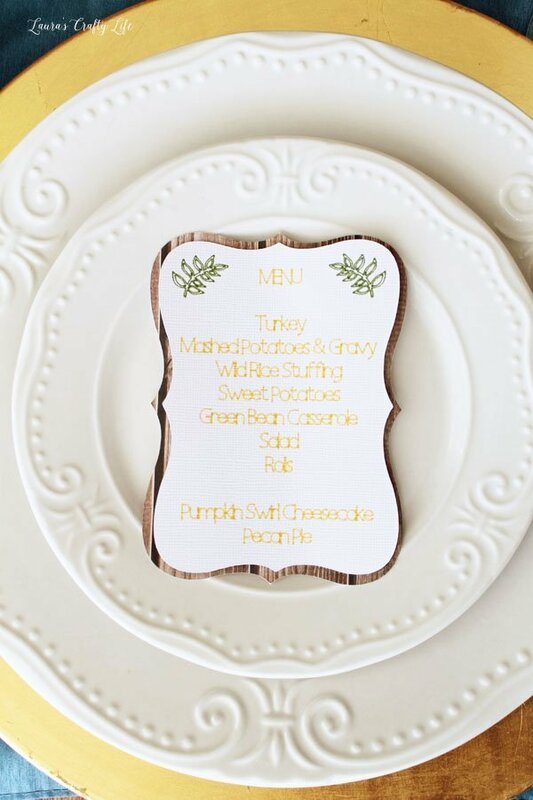 To start with I created the design for my Thanksgiving menu card in Cricut Design Space™. I love that I can work on my iPad or my computer when creating projects. Note: You can customize the text to work with your own menu. I sent my project to the Cricut Explore to write and cut. I selected for it to print 2X faster since I had so many to cut out. Be sure to select the number of projects you need before printing. Once you click ‘GO’ it will cut out all the woodgrain background papers first. Then, it will prompt you to load the next mat and add your Candy Corn pen. Once it finishes with the yellow pen it will prompt you to add the Sour Apple pen to draw the leaves. Then, it will cut out the shapes. 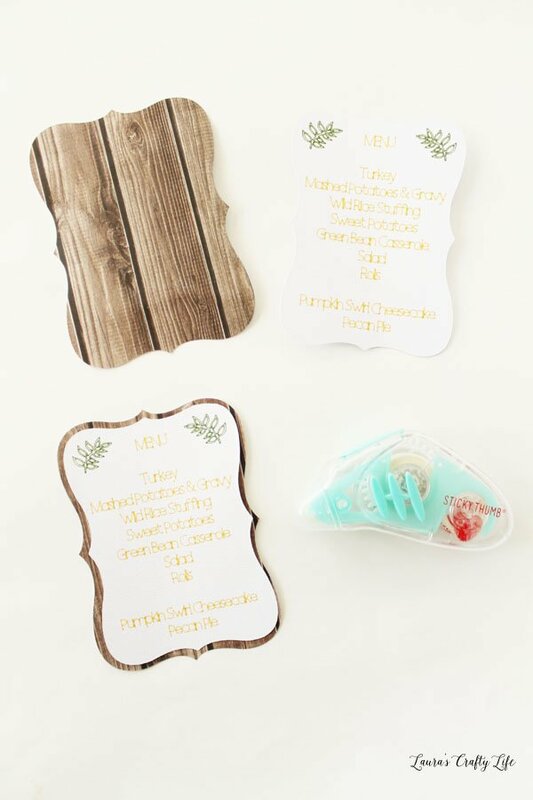 To assemble the cards, simply use a little adhesive on the back of the white cardstock and stick it to the woodgrain paper. I wanted to test out how fast the new machine works compared to the old one. 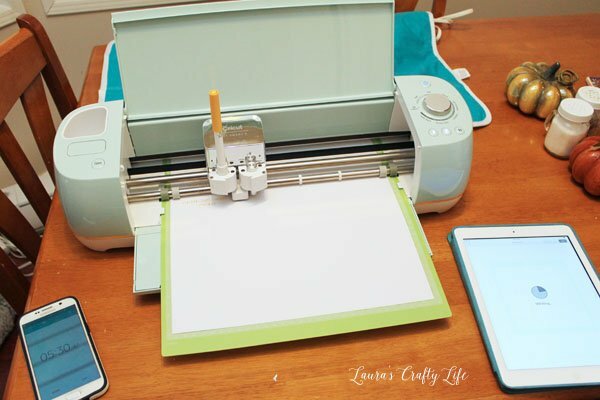 I have the original Cricut Explore One™ with a Cricut Explore® Wireless Bluetooth® Adapter. To test it out, I did four copies of the white cardstock mat that had the yellow and green writing on it. I first did it on the new machine using the 2x faster feature. Then, I tried it on my original machine. 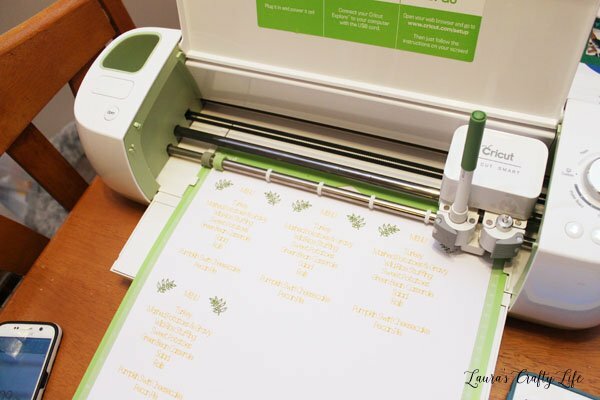 The new Cricut Explore Air 2 took 26 minutes and 44 seconds to write and cut four menu cards. The older Cricut Explore One machine took 34 minutes and 13 seconds to write and cut the same cards. That is a savings of 7 minutes and 29 seconds for four cards. 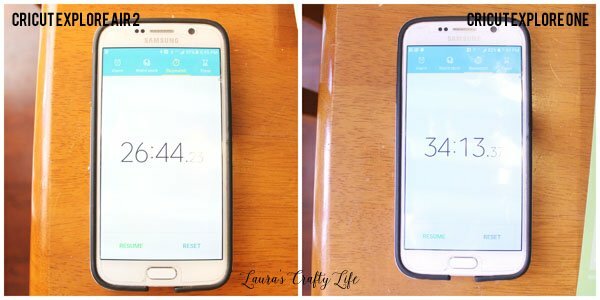 This saves you almost 2 minutes per card. You can easily see how if you are cutting lots of projects this would save you quite a bit of time. I need at least 10 cards for our Thanksgiving dinner and with the new machine, I can easily save 20 minutes of time on this project. This is fantastic! It can free you up to do even more crafting! And if you are only cutting without writing the new machine is even faster still. Up to 2X Faster. Select Fast Mode when you need to make every minute count. Quick projects. Select from over 3,000 ready-to-make projects or make quick cuts from our extensive image library. Create on your computer, tablet, or smartphone. Thousands of designs and ideas to kickstart virtually any project. Right now at Cricut, you can get 10% off orders (excludes Cricut Access) + free standard shipping (through 10/31/2016). Laura Silva is the content creator behind Laura's Crafty Life. This site was created to share a love of crafting and to inspire you to craft a creative and well-lived life! You will find simple craft projects, themed party ideas, organizing tips and tricks, and our adventures in renovating a home. Laura's Crafty Life was created to share my love of crafting and to inspire you to craft a creative and well-lived life! You will find simple craft projects, themed party ideas, organizing tips and tricks, and our adventures in renovating a home. Laura's Crafty Life is a participant in the Amazon Services LLC Associates Program, an affiliate advertising program designed to provide a means for sites to earn advertising fees by advertising and linking to amazon.com.